Back to a vintage pattern for my next top. 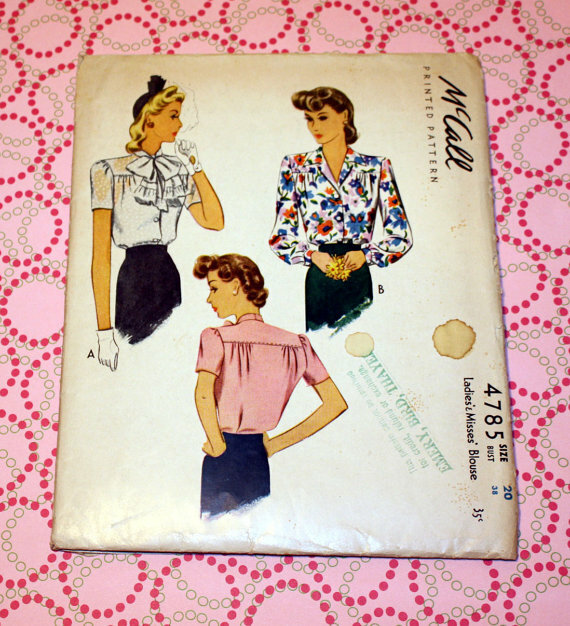 I picked up McCall 4785 a couple of months ago when I was looking for vintage dress patterns. The pattern is copyrighted 1942. Much to my surprise, the pattern looks like it had never been made. Only part of the front piece was cut out. I picked up the pattern because it looked like a nice everyday sort of blouse, so part of me wonders why it was never made. Was it supposed to be a present and the original seamstress realized it was the wrong size? I traced out the front and back pattern pieces only. I added to the side seams for the hip area and graded to nothing at the waist. I used the same cotton voile that was used for the Deer & Doe Blouse Airelle (I need to remember to get better pictures of this one) which should work well for the button down blouse. 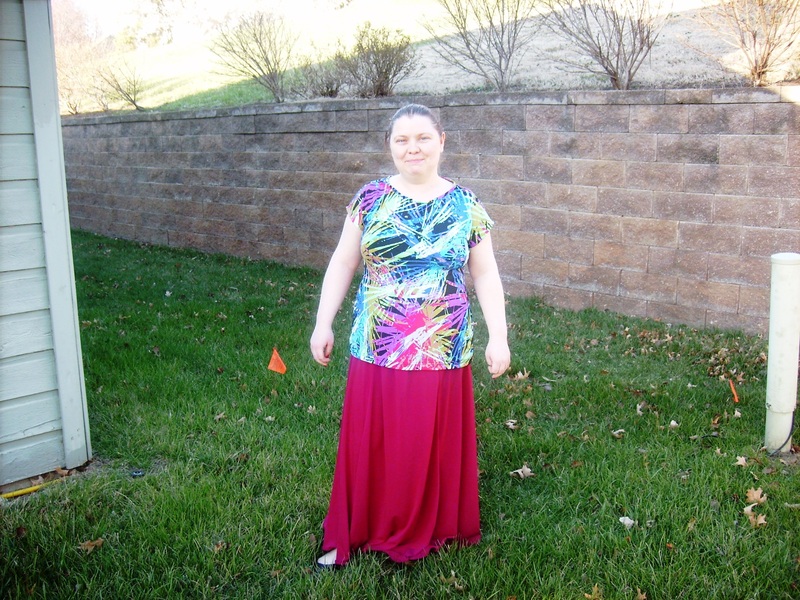 I used some ribbon to hem the top so I was able to keep some length. I really like the fit of this top. I definitely should put in with the Deer & Doe Airelle blouse as patterns to turn to when in need of a top. 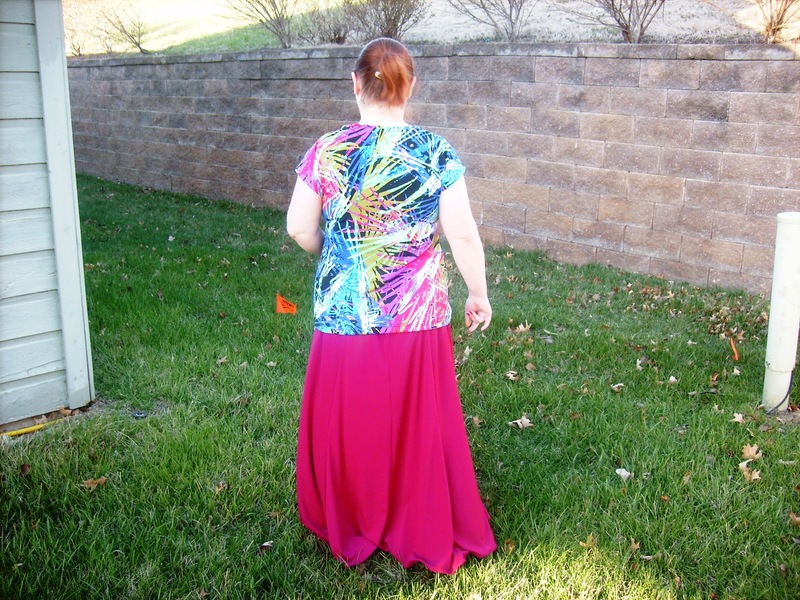 Next time I make this I will definitely be adding at least two inches to the length (at the bottom) and I think I may also bring in the side seams a touch too from arm to waist area. With Me-Made-May coming up, April has been the month of separates. I still have a Deer & Doe Airelle blouse to blog and a Maria Denmark Kirsten Kimono tee done. I am currently working on a new skirt. I am not sure if I have enough for a whole month so I plan on seeing how many days out of the 31 I wear me-made items. The past couple weeks, the average has been 3 days of me-made items. Time to share about the crochet projects I have been working on. February, I picked up a crochet pattern for doll boot cuffs from Pixie Faire website. The pattern wasn’t too hard and I was able to make one up in a thicker yarn. 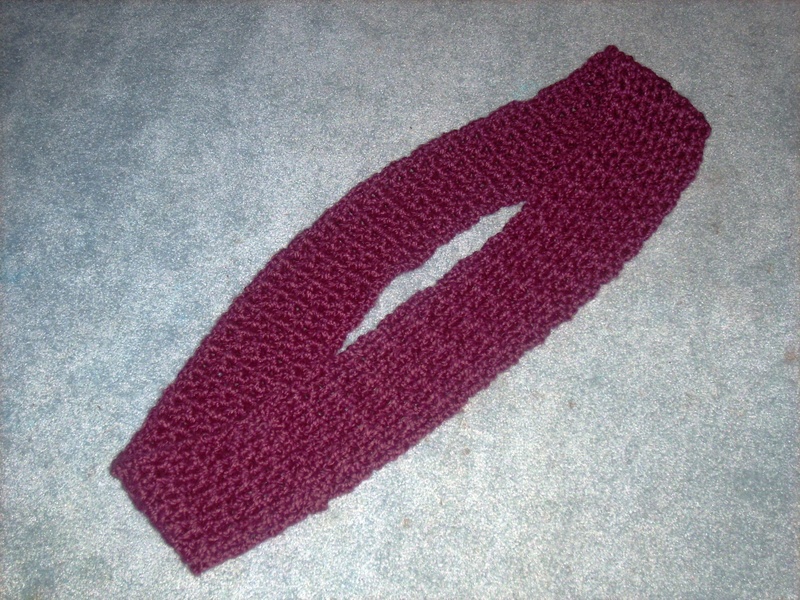 Before I made one my dolls could actually wear with boots (since they need thin sock type yarn), I decided to try making a cowl type scarf for myself especially since I hadn’t really crochet before. 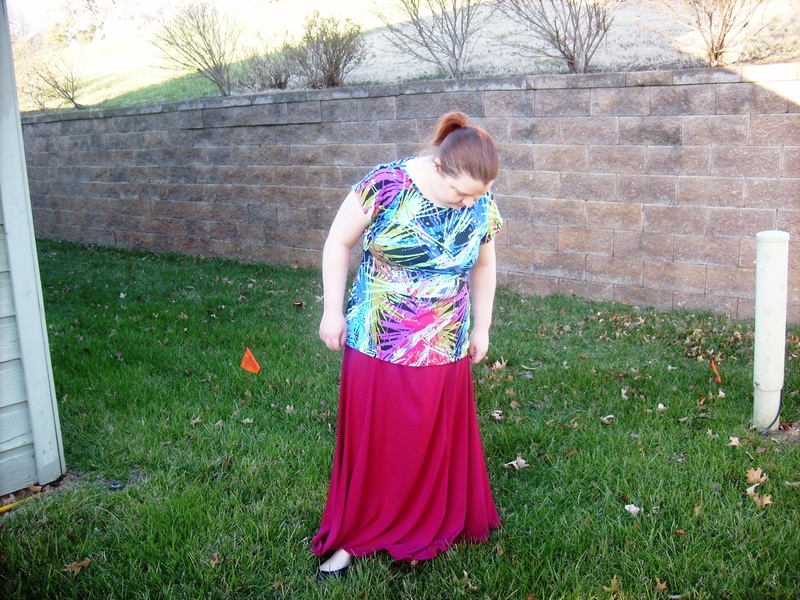 I picked a free pattern out from on-line and went on over to Pattern Review for opinions of others more experienced than me. 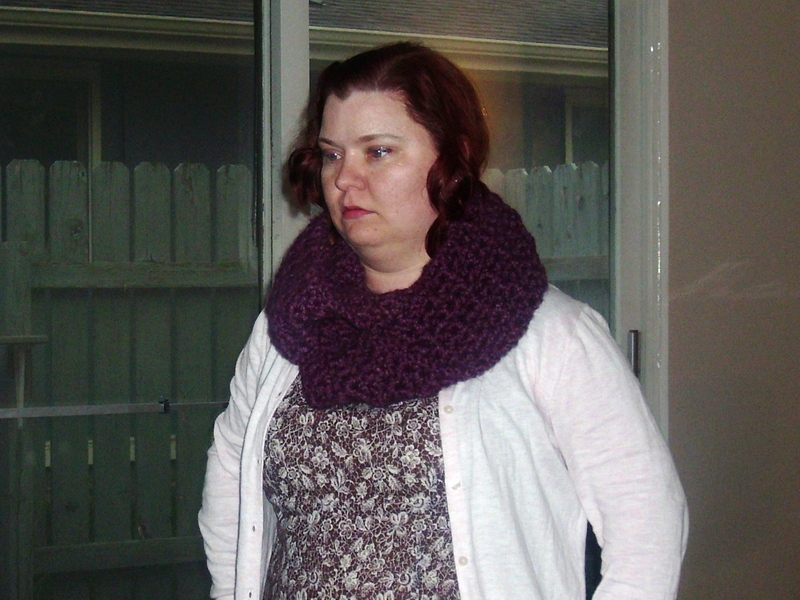 I had several better options presented to me and I went ahead and picked out the pavement infinity scarf. 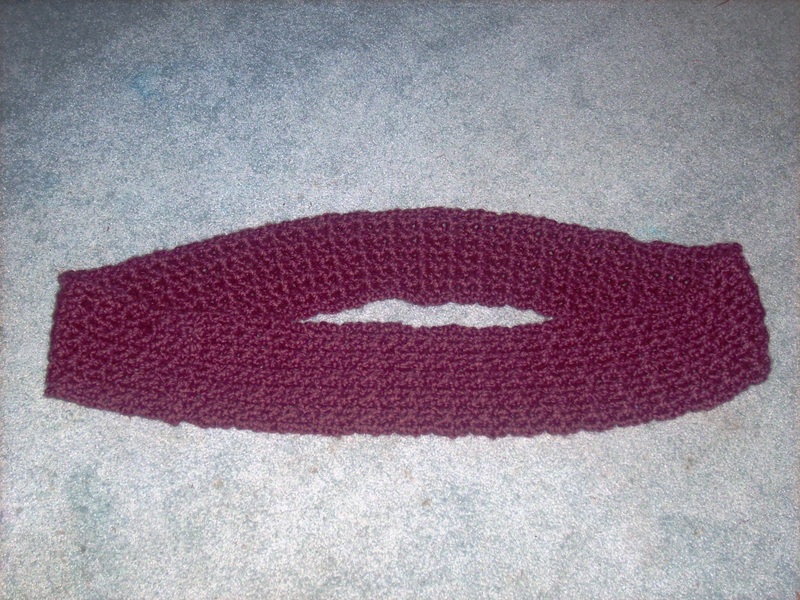 It is made using the double crochet stitch. The link to the pattern is at the end of the post. I think it took me about 3 tries to get the scarf started. Trial one didn’t look like the video. Trial 2 seems to be getting wider. Trial 3 made it until the end. I used 2 balls of yarn for my scarf and had about 60 inches in length total. At the end I used some of the left over yarn to sew the ends together. For the month of April, I am trying to focus on sewing tops which will be usable for me-made-may. So this week, I need to get pictures of my Deer & Doe Airelle blouse that I finished the last week. I just started McCall’s 4785 from 1942 last night. Lastly, I would like to make Kate & Rose’s Zsálya blouse for me-made may. Besides the tops, I would like to finish making my mom a pavement infinity scarf too for Mother’s day.